When dramatic design and gorgeous candlelight intertwine, your living space will be illuminated with stunning style. 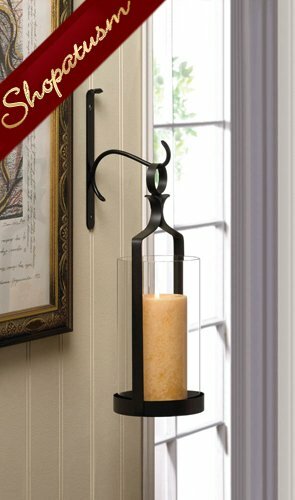 This iron wall sconce features a wall-mounted hook and hanging hurricane lantern that will wow your guests. Fill it with the candle of your choice. Item weight: 1.6 lbs. 5" x 5.62" x 16" high. Iron and glass. Candle not included.